It is where we begin and end the day. It is where we keep our treasures. It is where we go when the trip is over. It is a refuge and a place to gather. It is where we can truly be ourselves. This painting started with the color RED. 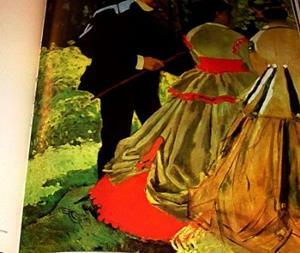 While thumbing through an old college text book on the Impressionists, I was struck by Monet's "Luncheon on the Grass." Until then, I guess I had never really considered how beautiful red could be. 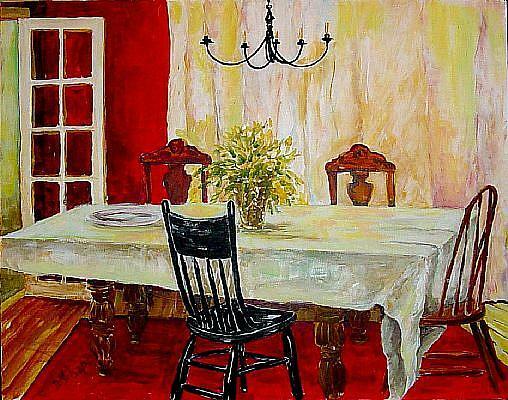 With my dining room as subject matter, I used Cadmium Red Light and Alizrian Crimson as the main design element. I have loved RED ever since then.